Thanks to everyone who checked out our most recent blog about Berenstain Bears video games and computer software. This week, it’s on to another new and exciting Book of the Week! 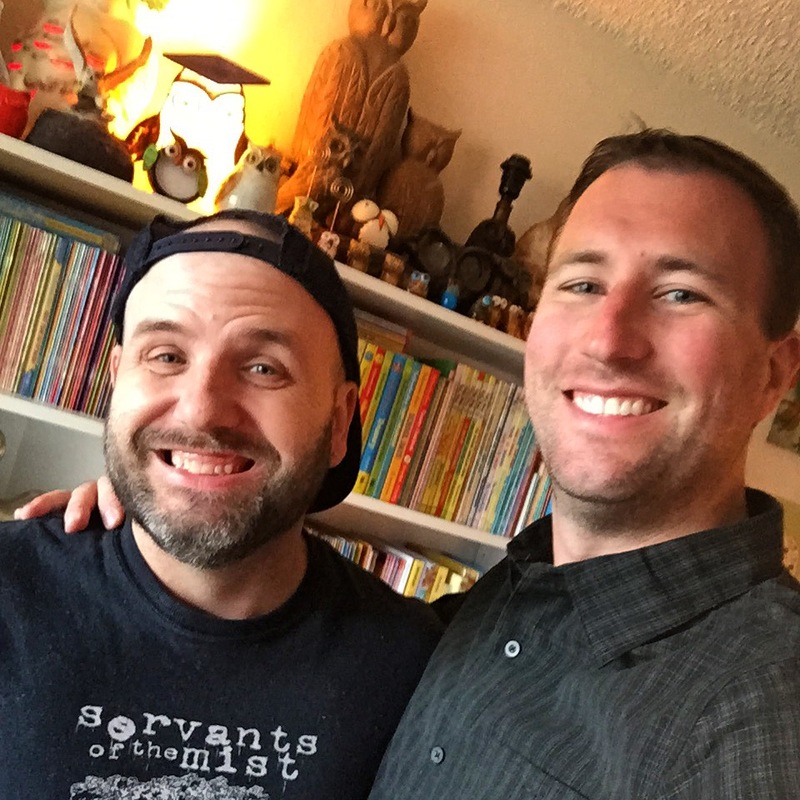 Just a few days ago, two of the biggest Berenstain Bears collectors in the country (to our knowledge?!) gathered in Tampa, Florida to meet for the first time ever and to begin what we are dubbing the 1st ever BearCountryCon, an annual (?) convention of Berenstain Bears collectors ( #BearCountryCon1 ) . In the course of the next year, we will be seeking others who want to join us for future conventions — and if YOU would like to be a part of #BearCountryCon2, just send me an email! 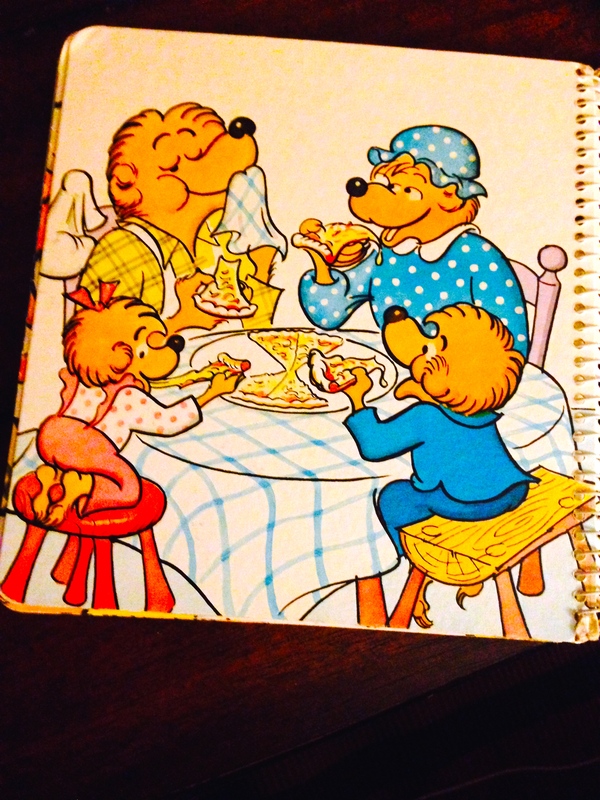 Anyway, it was a GREAT DAY in BEAR COUNTRY, and to celebrate, we decided to present a new Book of the Week, a classic that needs to be a part of everyone’s Bear collection: “Papa’s Pizza” the ONLY scratch-and-sniff Berenstain Bears book. 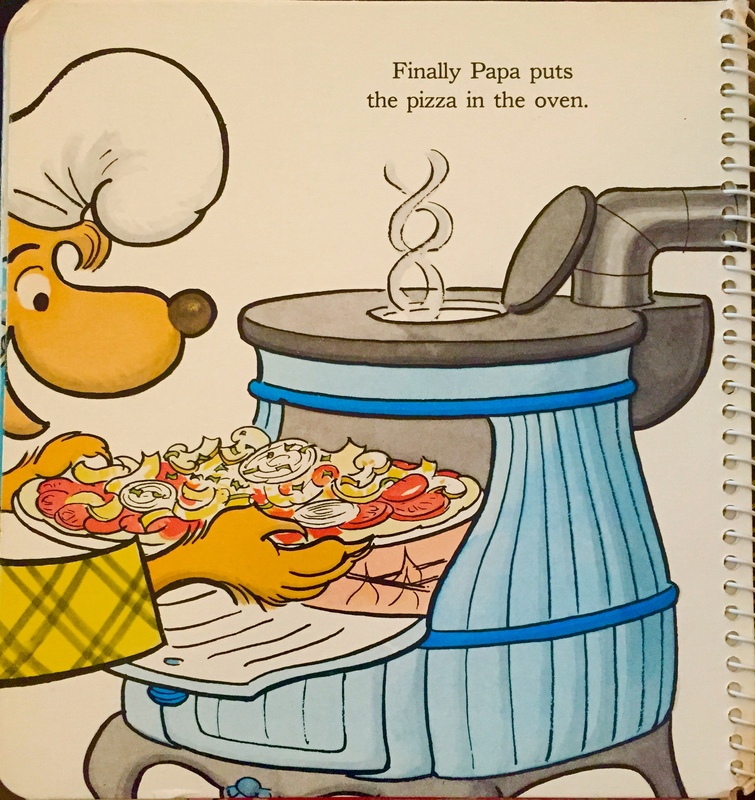 This title basically follows Papa Bear as he prepares a homemade pizza for the Bear Family; as he adds individual ingredients, you get to (scratch and) smell them as he puts them on the pizza…. What fun! 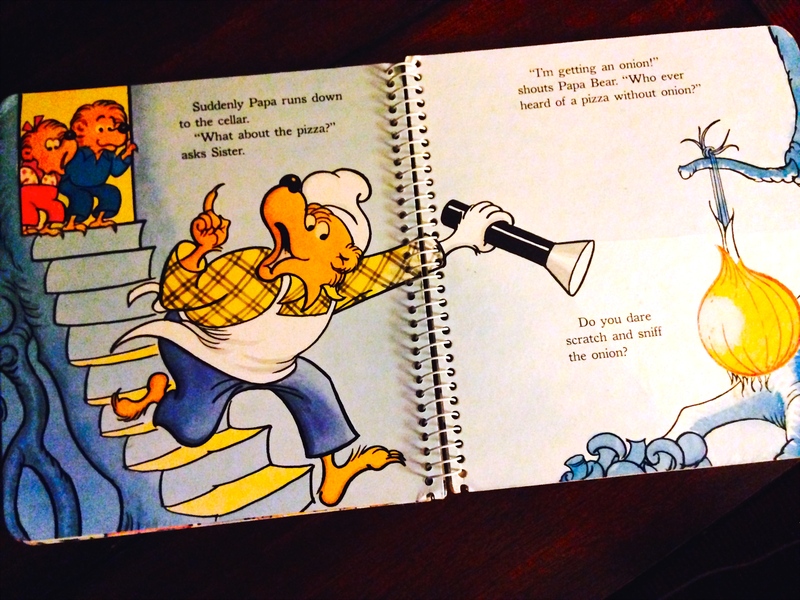 So pull “Papa’s Pizza” off your shelf or order up a copy TODAY! ~ And let’s all celebrate ‪#‎BearCountryCon1‬ !!! Hi. I just acquired a copy of Papa’s Pizza. It is the 8 sticker version with the metal spiral binding like the one on this post. I am wondering what the value difference is between this one and the 6 sticker plastic binding version.